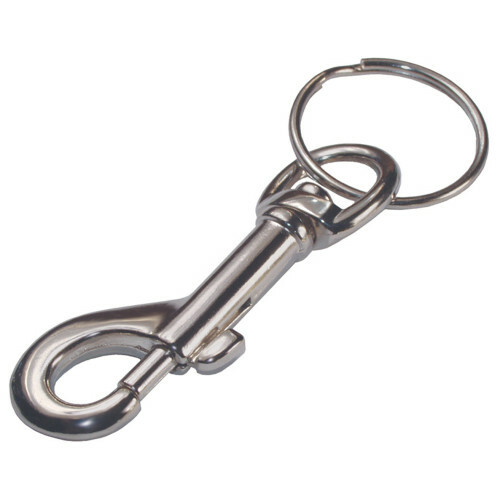 Hillman "Snap Hook with Ring" easily hooks keys to belt loop, purse strap, sports bag and backpacks. Includes 1-1/4" spring steel split ring. 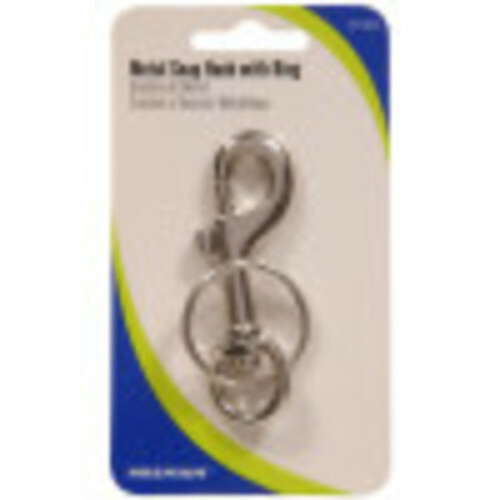 Lower end swivels to allow keys to lay flat. NOT FOR LIFTING OR HOISTING. Comes in an assortment of colors.